Home » Guides » Different Applications of Drone | What is use of Drone for Commercial, Military purpose? What are Drone Applications? The drone has many applications which are not only limited to the military world. They are taking a big portion in the present economy with many impressive capabilities and advanced mechanisms. Users’ interest in drone technology made to develop many new applications for it. These devices are serving a great part in all the applications with continuous advancement and useful in future too. Many sensors are added to drones with growing technology in order to provide high performance and their operations are highly optimized with these sensors. There are different applications of drones in different fields. Drones are used now in all fields even in agricultural fields and in internet world also. These below 9 wonderful drone applications will help to know more about drone and their capabilities. Let’s see the use of Drone in different sectors or fields from the below sections. One of the most common uses of a drone carrying a camera is to capture a picture even from inaccessible locations. Before only big industries were able to capture the critical shots with the help of helicopters as they are able to afford for it. But, nowadays even a small scale industries media houses use a drone and able to cover the picture in clear crystal way for impressive news reporting. As drones are in a smaller size they are moved easily even in tighter areas and can easily cover all the places and are also used for face to face interview recordings. These are also used in sports and real estate photography. With the help of drone search and rescuing became very easy. Earlier due to lack of technology the search and rescue operations use to take a lot of time but with the help of a drone, everything made easy and possible in few minutes. These drones are built with thermal sensors which are used to locate the lost person position. They are even able to work in darkness and in challenging terrains. Besides locating the lost person position drone is also used to drop supplies to unreachable places that are torn in war or struck with disasters. With the help of a drone, one can lower walkie-talkie, and supply food supplies, clothes, medicines, clothes, and water to standard victims before a rescue team move them to some other place. Agriculturists and farmers generally look for effective and cheap methods in order to monitor their crops regularly. Drones help farmers to save money as well as put their eye on failing plants. Drones are equipped with infrared sensors which are tuned to detect the crop health. This enables farmers to react and improve the crop condition with some insecticides and fertilizers. 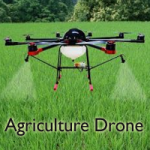 Drones are also used to spray water, pesticides, and fertilizers for crops at the right time. Farmers are also able to get information and updates very quickly about crops. Drones save a lot of manpower by shifting unnecessary road traffics to the sky. 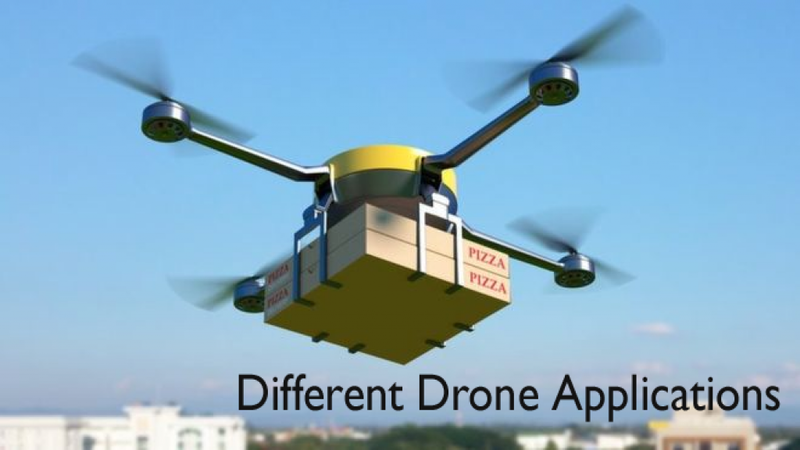 Advanced drones are now capable to carry enough heavy loads and can be used for shipping and delivery. It also helps people to some instant service for the requested products at the doorstep and saves a lot of time by avoiding the road traffic jam. Food orders can also be delivered at your place within less time. Most of the engineers these days use drone technology to monitor their depth projects like oil pipelines, transmission cables, and maintenance inspections. Many of the tasks in engineering can be completed with help of drones such as airport planning tasks, infrastructure projects, and construction and maintenance activities. Drones are able to perform surveys with high efficiency. Professionals use drones to acquire the high-resolution data and download images in difficult times to reach locations like mountaintops, islands, and coastlines. They used to create some 3D maps and help in mapping applications. These devices are tiny and help people in achieving success in crowd surveillance and public safety. These are capable enough to give information about criminal activities in large public gatherings. Drones used at border areas in order to capture the smugglers and drugs very easily. They used in the army to protect the nation from many problems. This is the reason in recent days, many countries are focusing to develop high-end drone units. In the present world of internet, drones have a major part. The recent update is that they are going to start using a drone in serving internet signal at the remote locations. You can soon able to catch the mobile signal with the help drone flying above in the air. As technology grows drones will become more advanced and robust, by accommodating heavier loads. You can also use Drones in protecting wildlife animals like elephants, cats, rhinos and many such animals. As they designed in small size they can easily travel to small tight places and even inaccessible locations. Drones have very impressive capabilities. You just only need to attach the camera to the drone and let it fly in the air to capture pictures even at the target places. Drones have a great potential to explore and exploit in commercial applications. Major government agencies, industries, and many other institutions are actively accessing the drones in creating innovative business models. Due to rapid growth in technology drones have commercially launched with affordable prices. With the emerging data service and cloud-based applications, the commercial drone application growth is rapidly increasing. Operating a drone for some kind of commercial application is illegal in the United States. Some of the drone commercial applications are they used in real estate by capturing the video footage of the property and making it easy to select the area. Drones used in golfing; used by the golf spectators for capturing the game in different ways which are not possible in previous days. Can use in inspections; wind energy engineers are able to perform inspections on the turbine without lifting any heavy equipment even avoids the risk of injury to people. You can use in wedding and special events by capturing the beautiful footage of the couples and record all the events. Aerial photography and videos of major events are becoming much easier with the help of drones. Drone for commercial use helps people in solving many problems by capturing pictures very easily and beautifully within the budget convenient to the people. Oil, gas and mineral exploration. Drones mainly created for a military purpose. They have found a number of uses in military and defense. In the military, drones used for detecting the bombs by penetrating into the constructed spaces with the help of cameras added to it. The aerial vehicles designed for us by making aware of unexploded bombs and save many lives. Drones in surveillance, protect people with the help information given by the drone from defense and wars or any disasters that happened in a particular place or country. It used air strikes to attack the militants or any other people in tribal areas in order to save the lives of people. 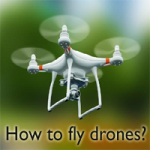 Also, visit Best Flying Drones website frequently for more interesting information.